Court slams N10 million damages on Linda Ikeji - e-NIGERIA! Linda Ikeji, one of the foremost bloggers in Nigeria has been slammed N10 million damages for libeling a Lagos socialite and fashionista, Uju Murphy by an Igbosere High Court in Lagos e-NIGERIA! reports exclusively. Interestingly and unknown to the public this judgement which had since sent shivers down Linda’s spines was delivered on November 16, 2017. Uju Murphy was accused by her husband (Murphy Ozohue) of allegedly having amorous and adulterous affair with FCMB’s former Managing Director and Chief Executive, Ladi Balogun. Uju and her husband were reportedly married for eight years and in between, Ozohue moved to Japan, while Uju lived in Nigeria with their kids. 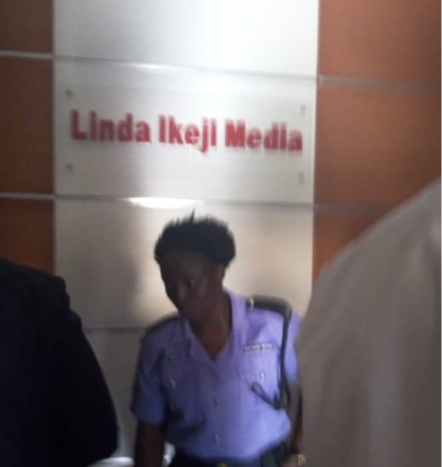 …during the judgment execution process at Linda Ikeji’s office | e-NIGERIA! On the other hand, he Ozohue was also accused of infidelity, cultism and an attempt to use her son for sacrifice, and ran out of the marriage since 2009. Although the scandal was widely reported in a section of the media, e-NIGERIA! gathered that Uju Murphy took only Linda Ikeji to court over her reportage and also accused her of hiding under the disguise of anonymous to publish several comments where her person was portrayed as very loose, adulterous, fetish and uncultured individual with a faulty upbringing, an action which she deemed highly “libelous.” and for which she asked her solicitors to challenge in court. “He’s a cult member. Did she not know this before she married him. Uju is so materialistic she will even marry a dog as long as it has money”. “Typical of her to marry someone who lives in Japan and she remained in Nigeria doing her own thing. But you do the same thing, that’s why you and your husband fit each other”. “The sins of the mother are definitely visited on the children. The same issue with her paternity is the same issue she is having now”. 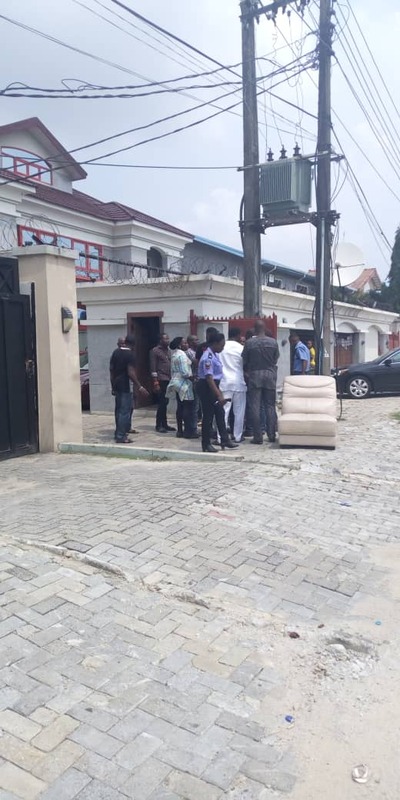 According to Uju Murphy’s solicitor, Barrister Oluwafemi O.N Olabisi Esq. who represented her in court, the supposed readers’ comments clearly depicted her as “an immoral woman, a woman of easy virtue, diabolical and evil, a liar, an opportunist, an unscrupulous person, a murderer, a loose person, and an irresponsible mother. The case which started in 2013 and seen like a child’s play has suddenly snowballed into a huge minus for Linda Ikeji. For years that the case dragged in court, Linda Ikeji was “unrepresented and absent” in court, as clearly stated by the judge in the judgment CTC. And even after the judgment was delivered in 2017, Linda did not blink an eye-lid over the situation. 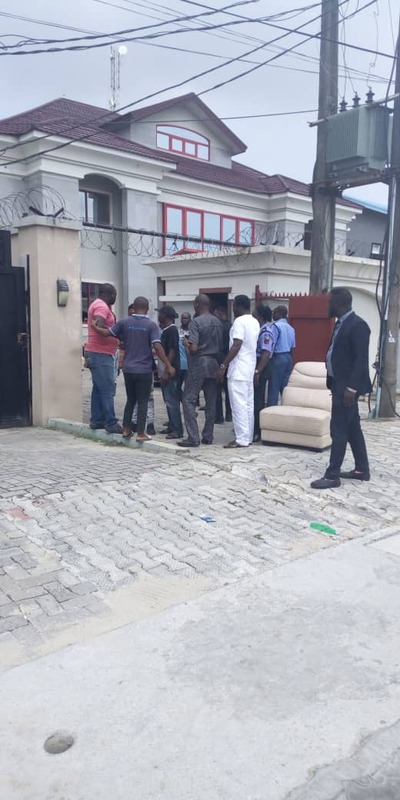 She however realized the enormity of her misfortune when last Thursday, February 7, 2019, a team of policemen from Maroko Police Division accompanied by the Court Sheriff stormed her Surulere office premises to execute judgment and she was overly jolted and highly embarrassed. 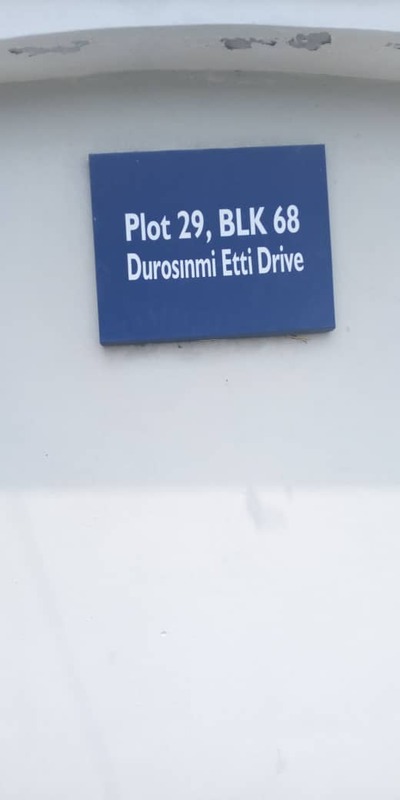 e-NIGERIA! learnt that unlike her disposition toward the case initially, she began making frantic calls. Linda Ikeji was involved in a baby mamma drama within the last quarter of 2018, a scandal that got her heavily slammed by public commentators, bloggers and fans. While she is yet to recover from that there are clear indications that even in this 2019 she already has a handful of trouble to deal with.